Luka Doncic’s career won’t be as successful as it was in Europe, according to his fellow NBA rookies. 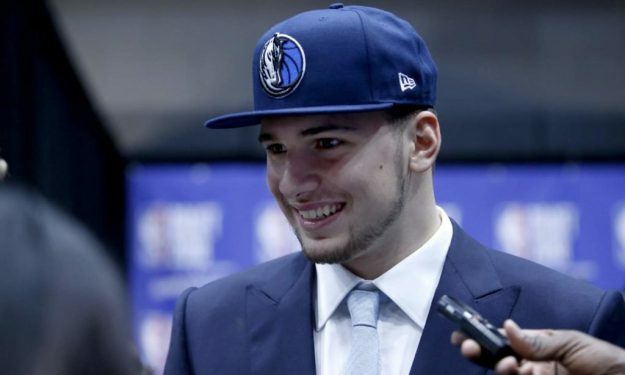 While Dallas Mavericks guard Luka Doncic is considered by many other NBA rookies of his class as one of the favorites to win 2019 ROY (Rookie Of the Year), his peers don’t seem to believe in his future potential or that his career in the league will be particularly successful. At least that’s what’s revealed from the annual NBA rookies survey, the results of which were published today at NBA.com. In the question “Which rookie will have the best NBA career?”, Doncic was completely snubbed by the 36 rookies that participated in the survey, receiving zero votes. On the contrary, when asked “Who will be the 2018-19 Kia Rookie of the Year?”, 9% of the rookies picked the Slovenian player and reigning EuroLeague and ACB MVP. Doncic has tasted some astounding – and definitely unprecedented for his age – amounts of success in Europe where he practically won everything there is to win as a professional player at just 19 years of age. Despite his many titles and distinctions with both Real Madrid and the Slovenian national team or the fact that he often aced while facing established NBAers, there’s still some skepticism regarding how his skills and capabilities will be translated in the league. The rookies’ disbelief on how high Doncic’s ceiling is and how far he can go in his career as an NBAer comes as no surprise. It’s highly doubtful that any of them actually watched Doncic play in Europe, even in major tournaments such as the EuroLeague Final Four or the 2017 EuroBasket. Before being landed by the Mavericks via a trade with the Atlanta Hawks, Doncic hit a home run in Europe by winning EuroLeague and ACB MVP while being named in the All-First Team in both leagues. He led Real Madrid to the 2018 EuroLeague title (earning Final Four MVP honors in the process) and Spanish ACB League titles. Prior to the 2017-2018 season, Doncic helped Slovenia win the EuroBasket for the first time in the history of the country, making the All-Tournament team.